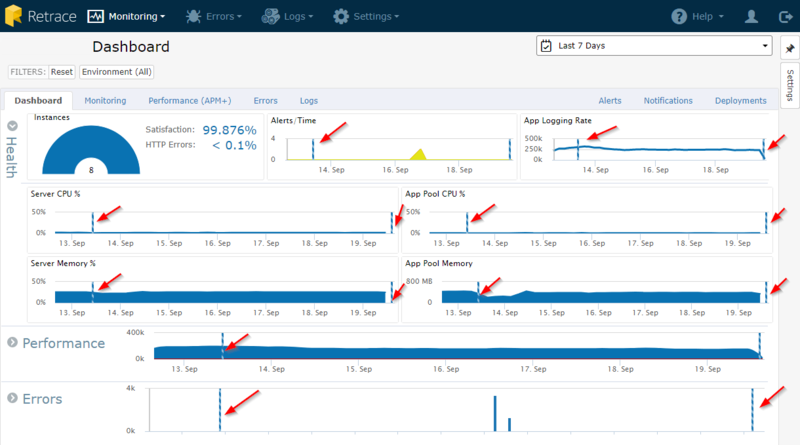 Pinpoint performance changes and connect issues to specific deployments. Know when deployments happen and how they impact performance. Quickly identify issues and get actionable insights to fix them. Determine if your app is better or worse with each release. 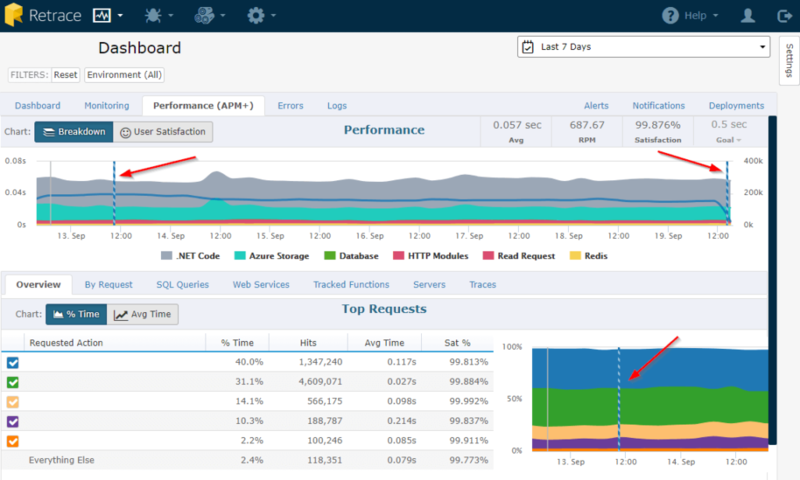 Troubleshooting problems related to a release is easy when you can visually see when deployments happened and how they affected your application’s performance. Deployment markers are color coded for environments to make viewing the whole picture of an application easier. 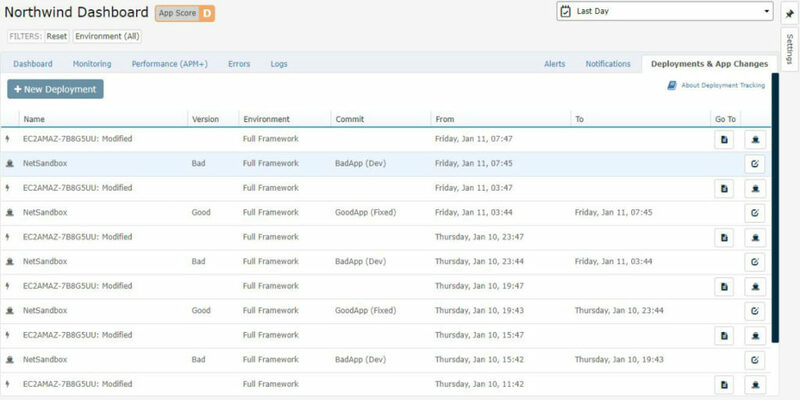 The deployment dashboard displays the deployment history of your applications.